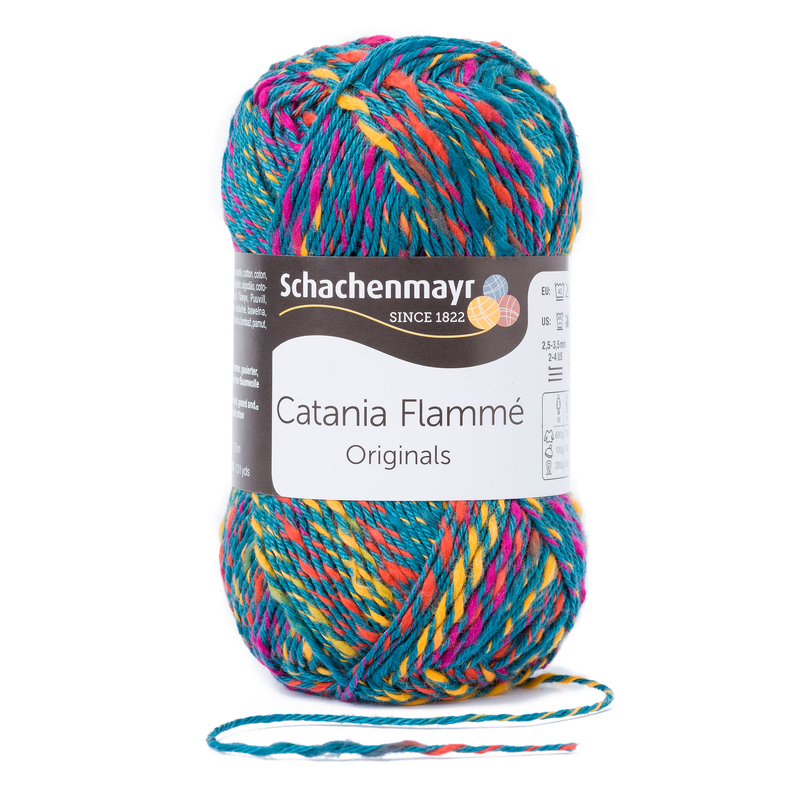 This member of the popular Catania family is excitingly unique and colorful! 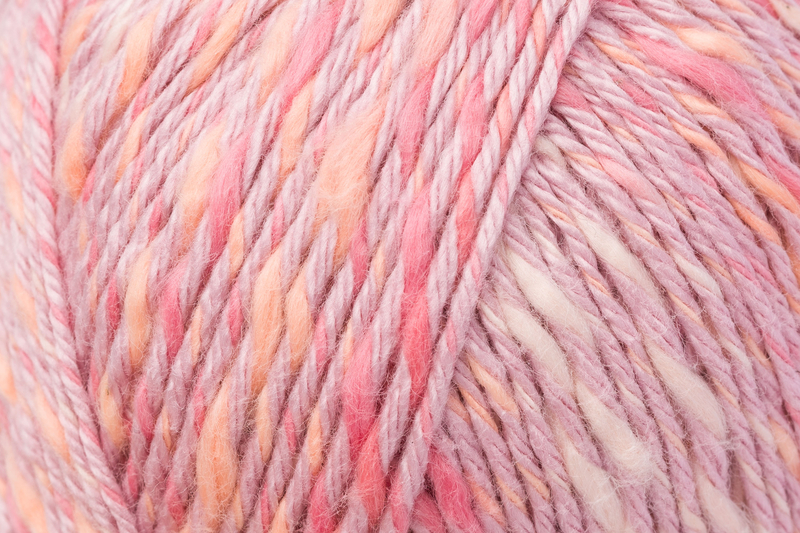 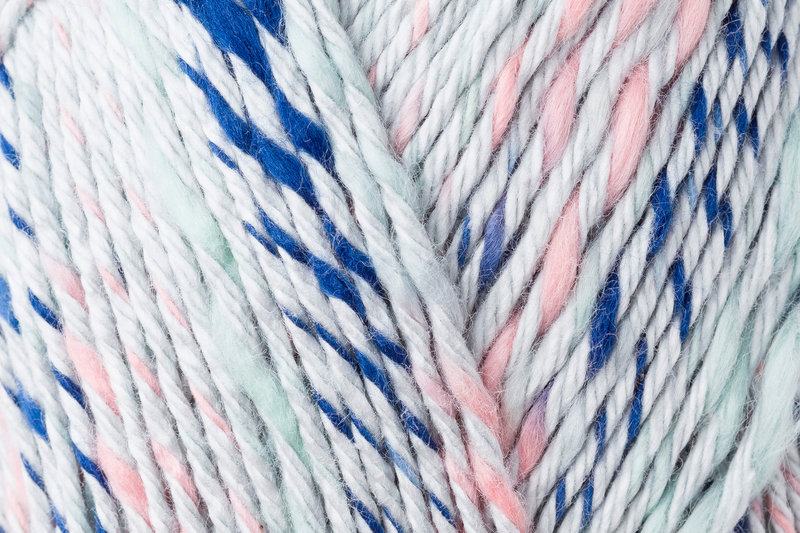 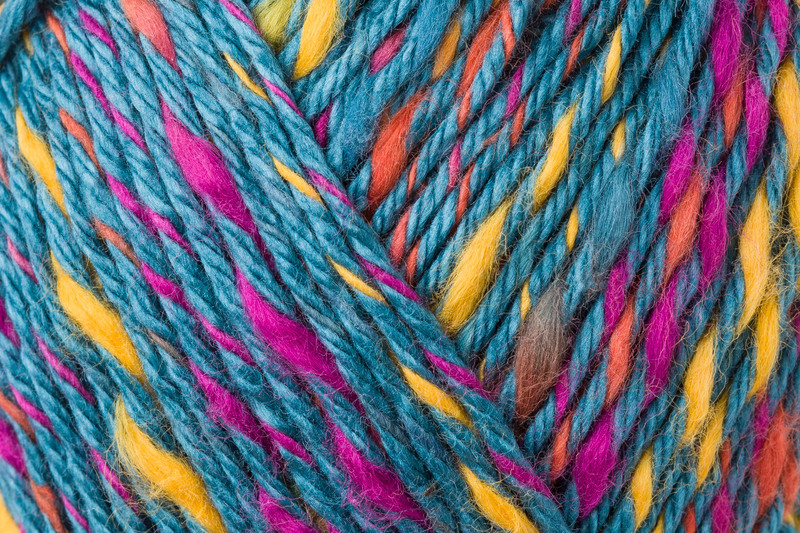 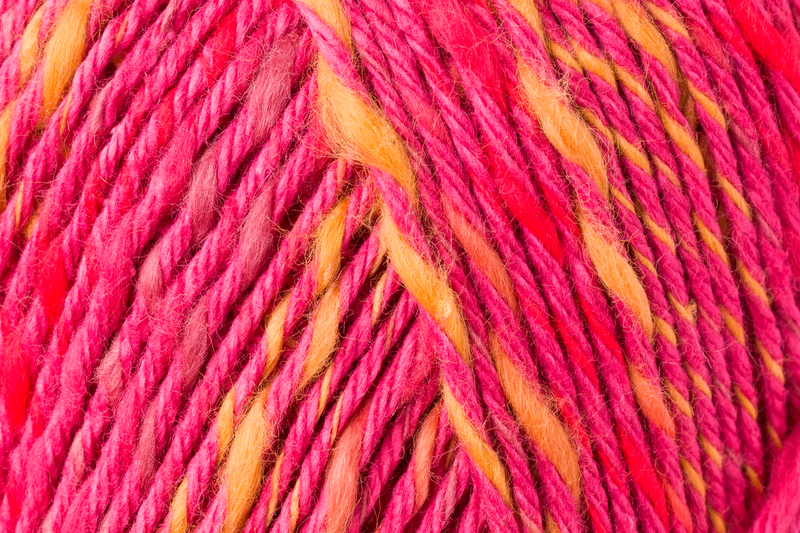 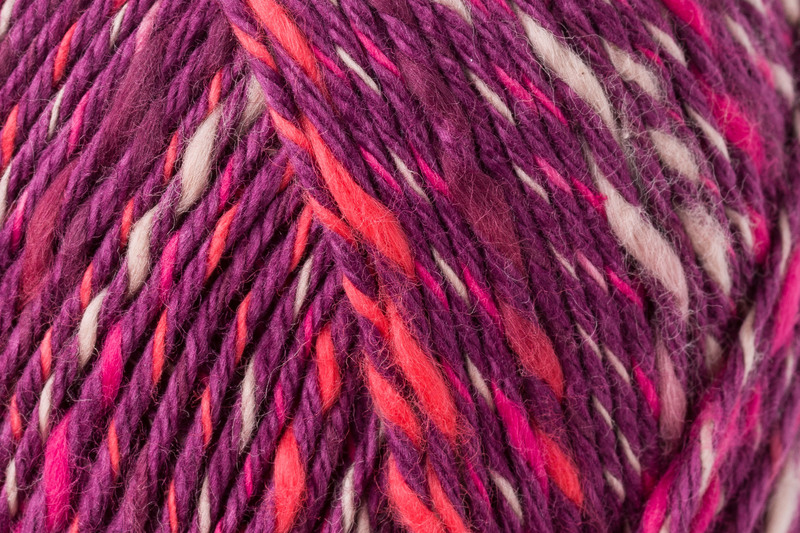 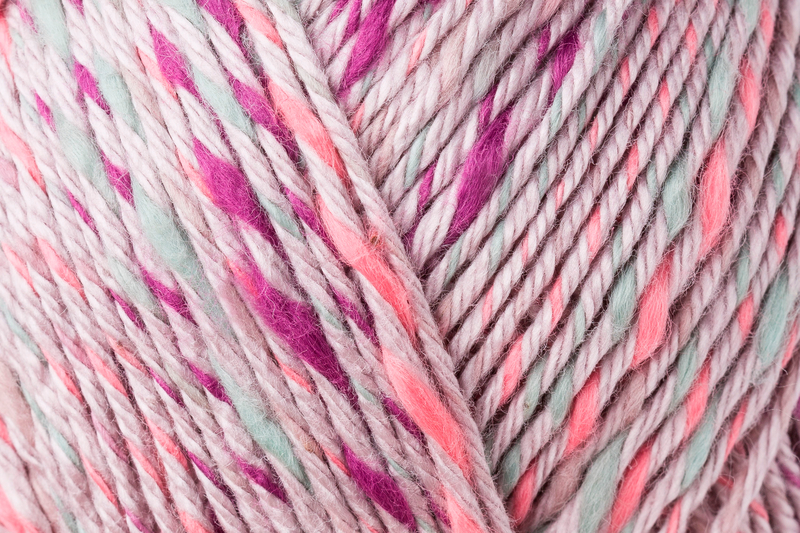 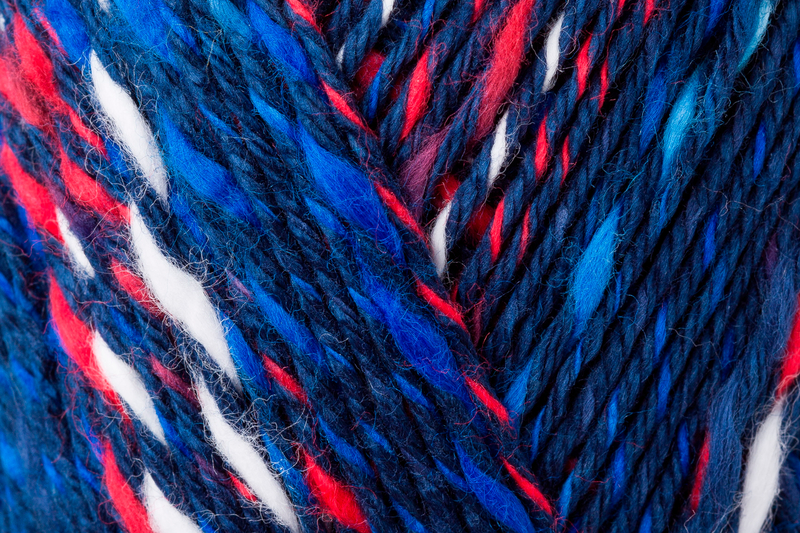 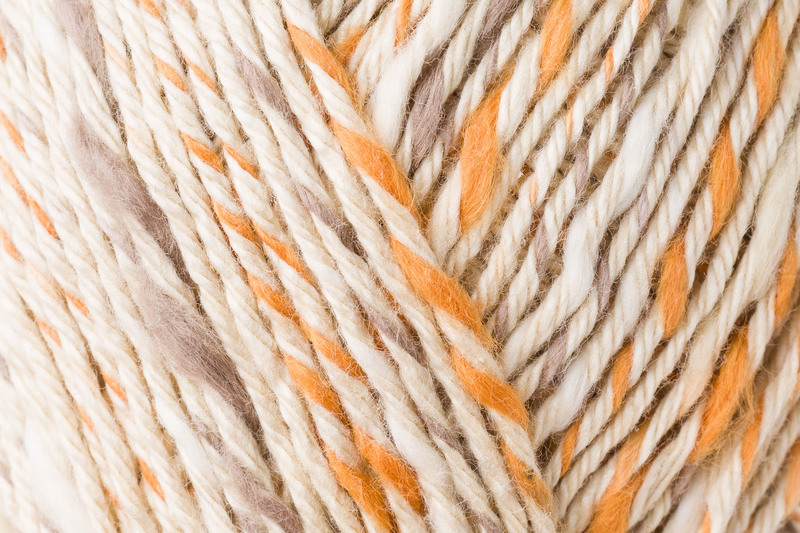 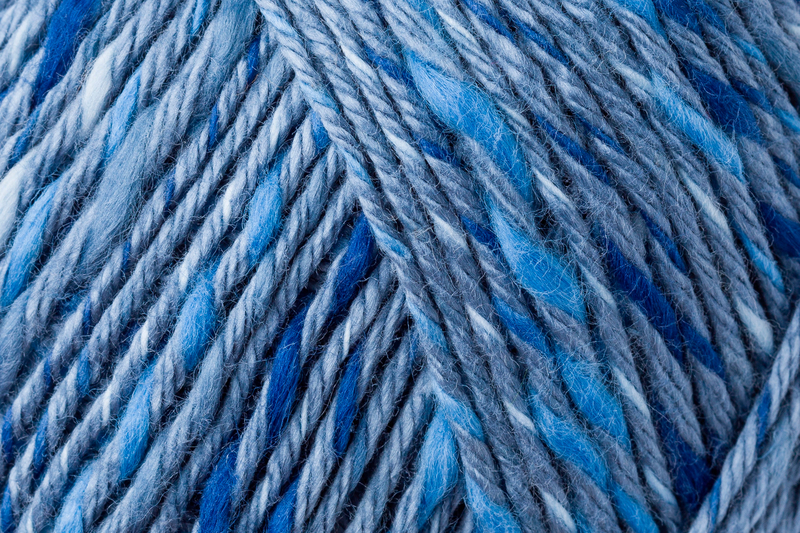 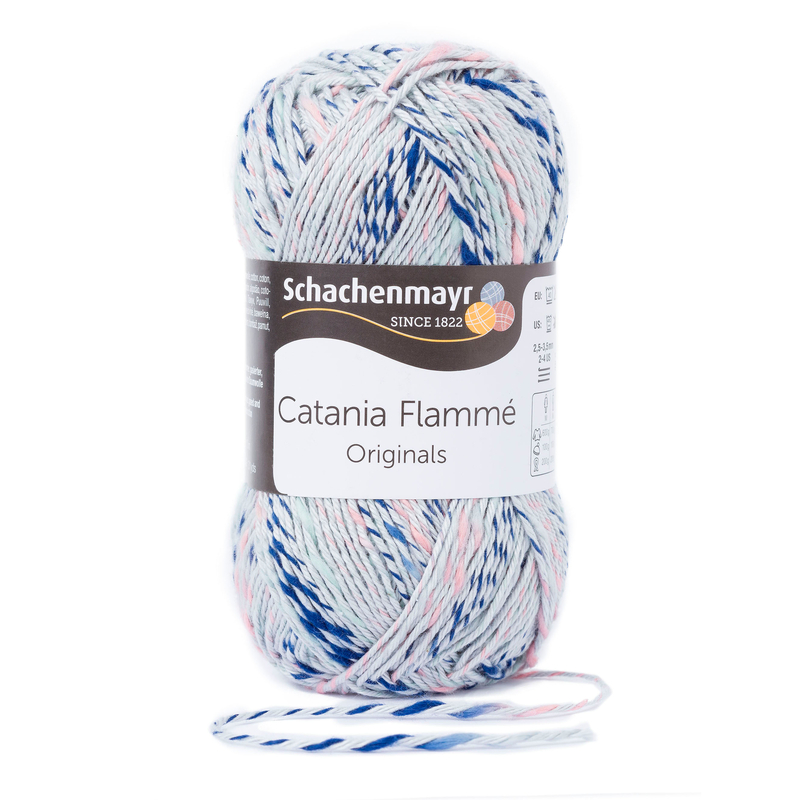 This 100% cotton yarn is very interesting, in both color and texture, thanks to the special plying, which pairs single-color, shiny, mercerized fibers with matt, unmercerized cotton in various contrasting colors. 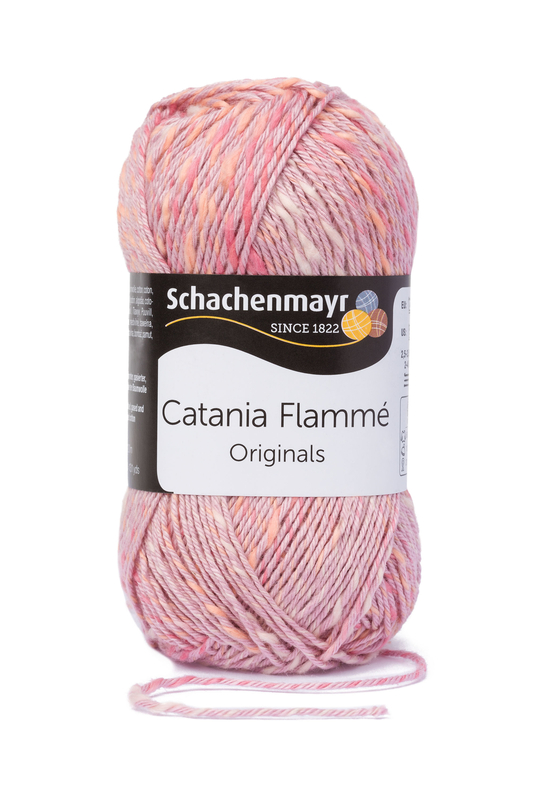 This creates the thicker, uneven flames, which give Catania Flammé its name. 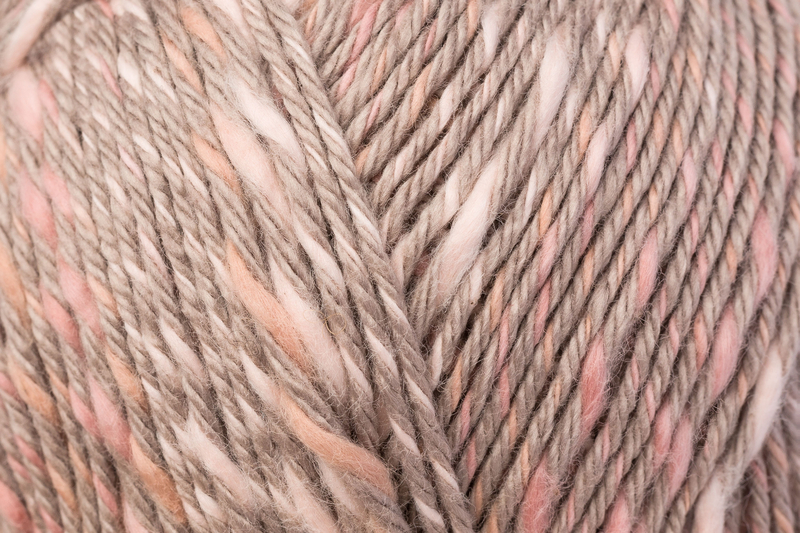 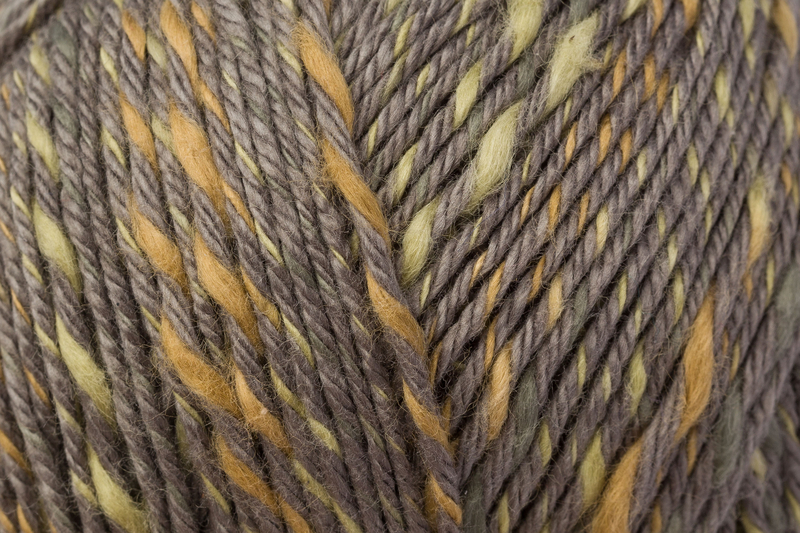 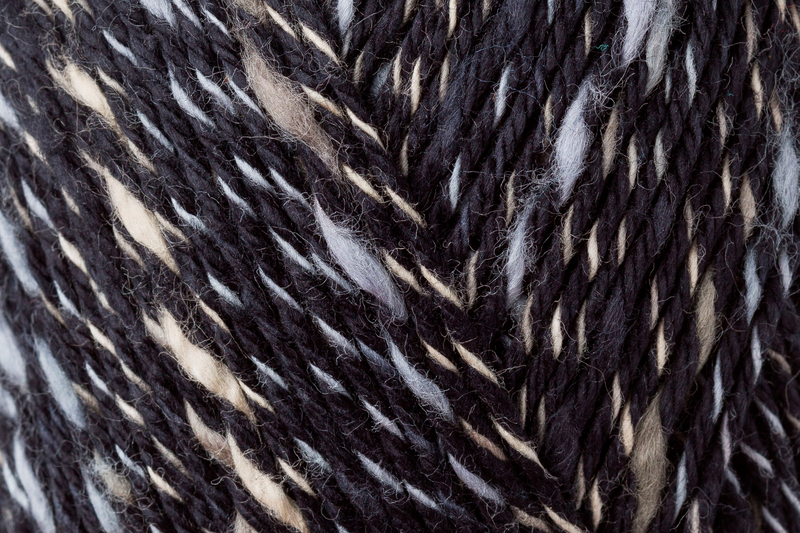 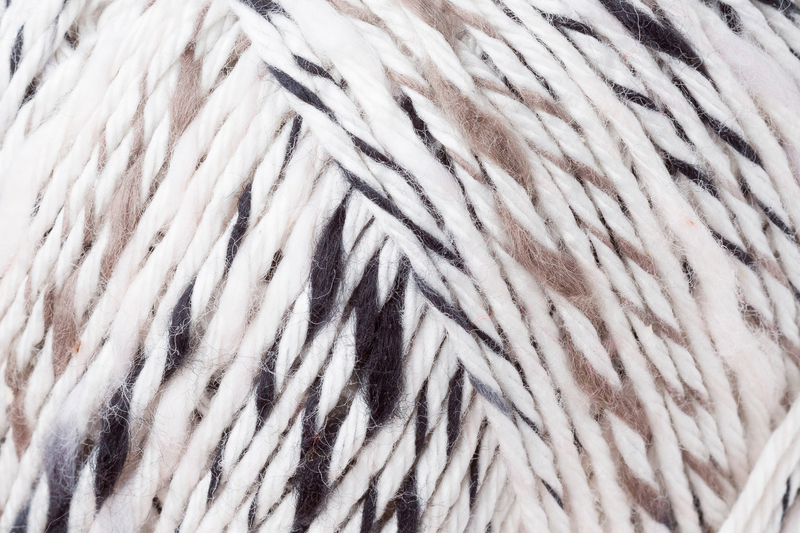 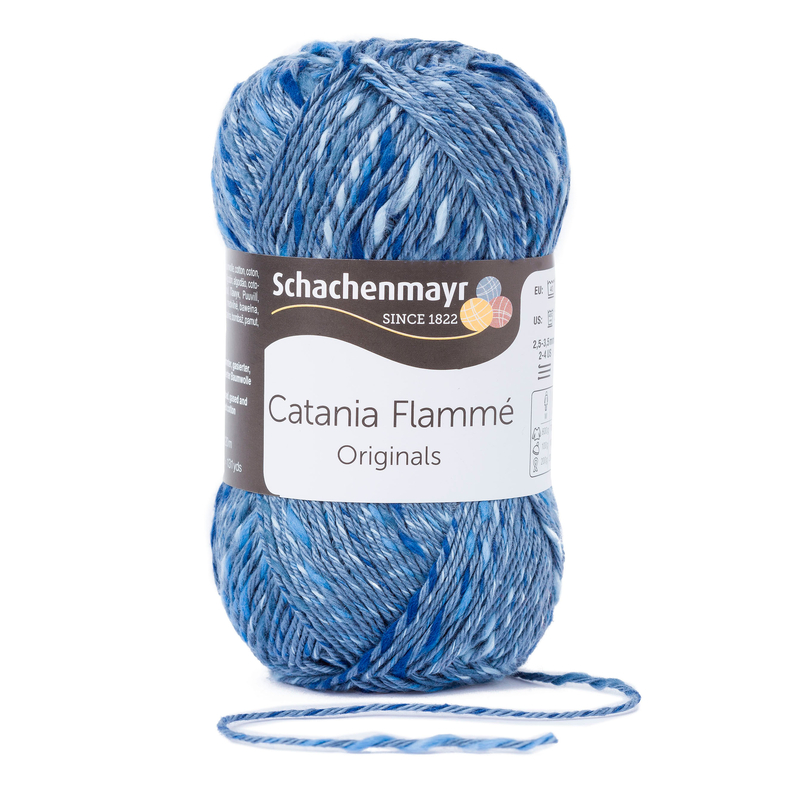 As far as needle size and gauge are concerned, this yarn behaves exactly as standard Catania does so both yarns can be wonderfully combined. 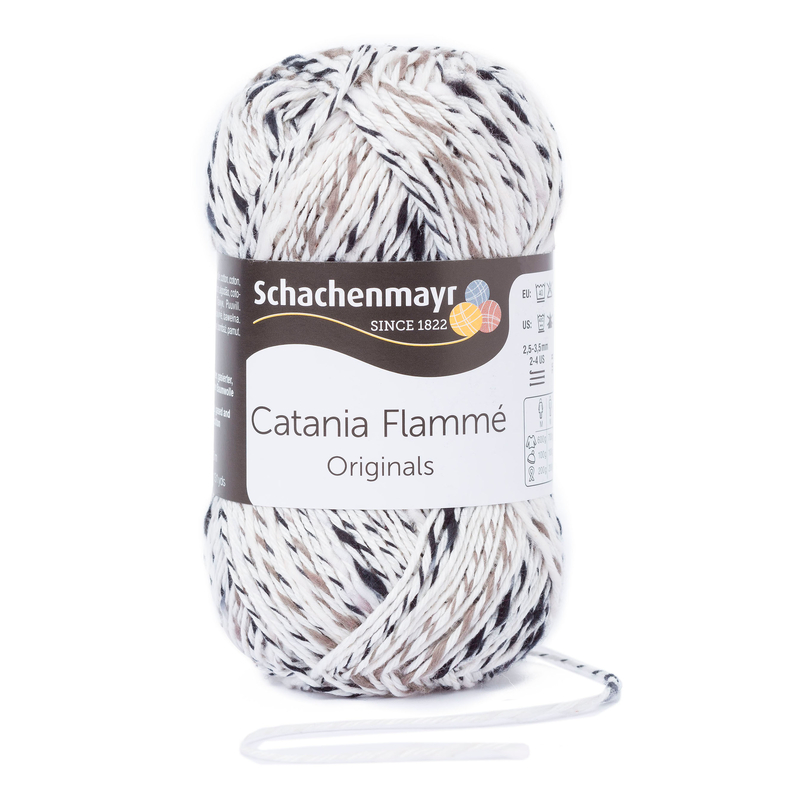 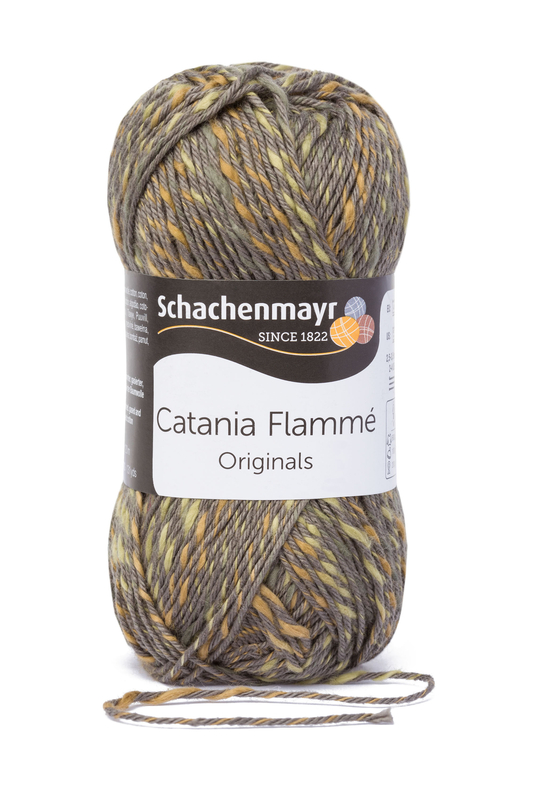 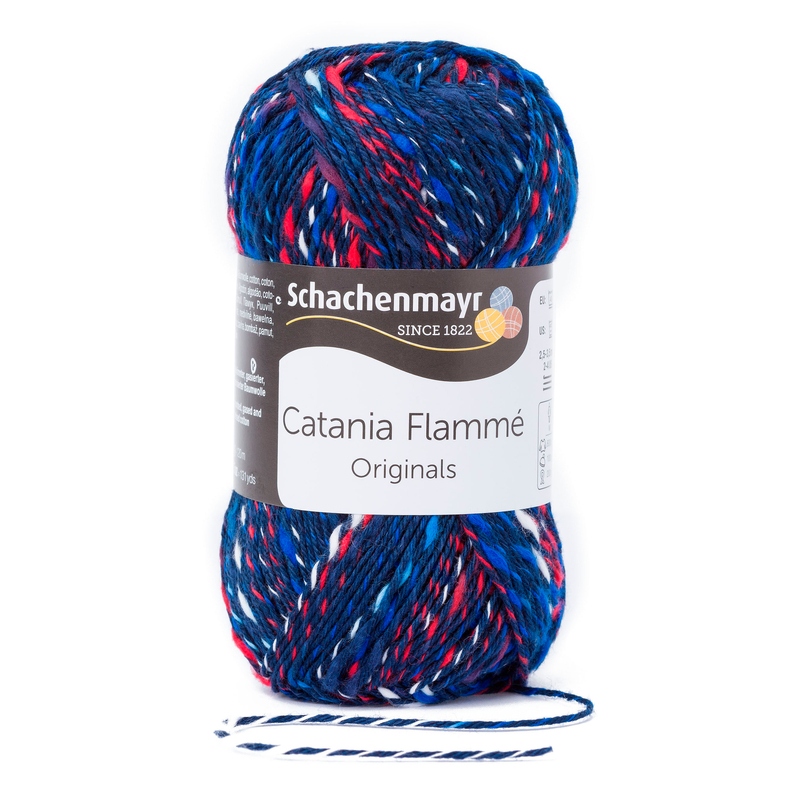 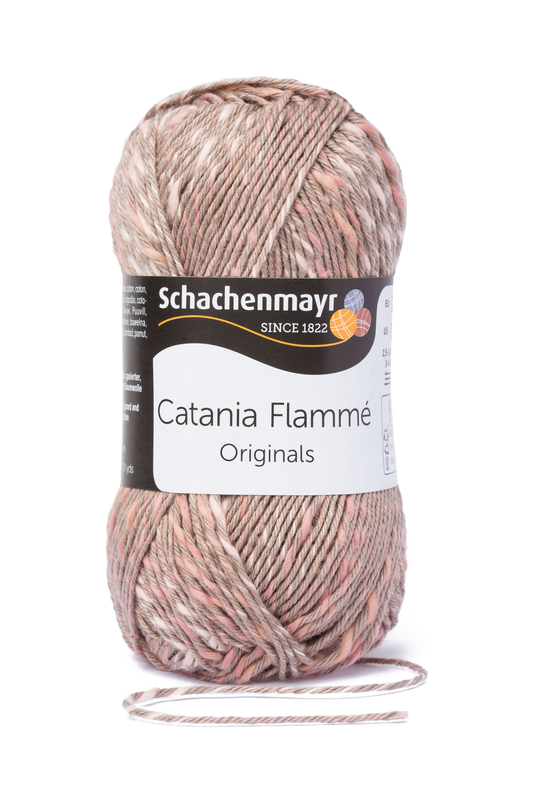 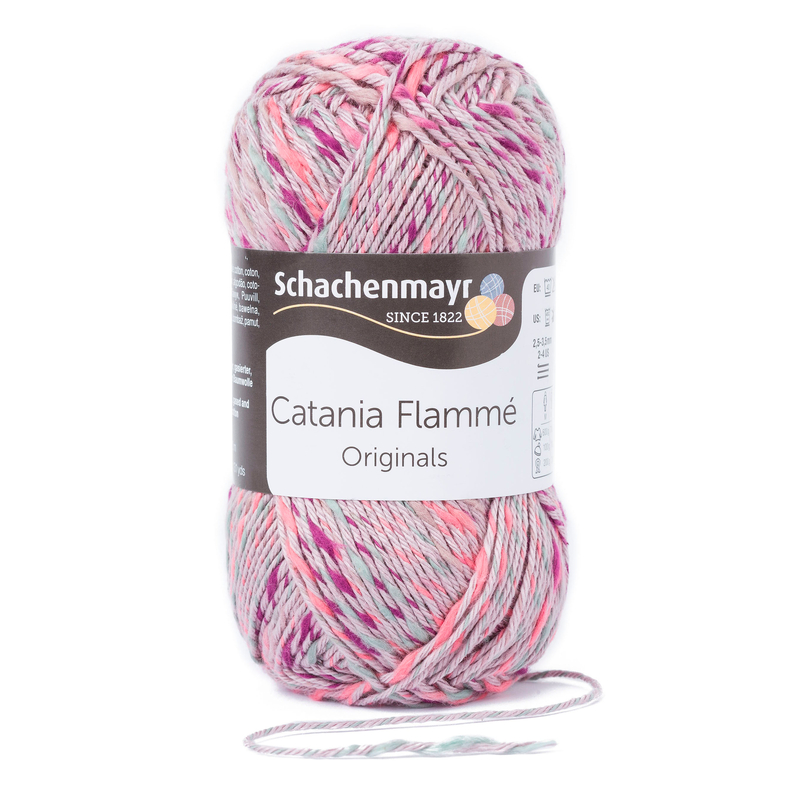 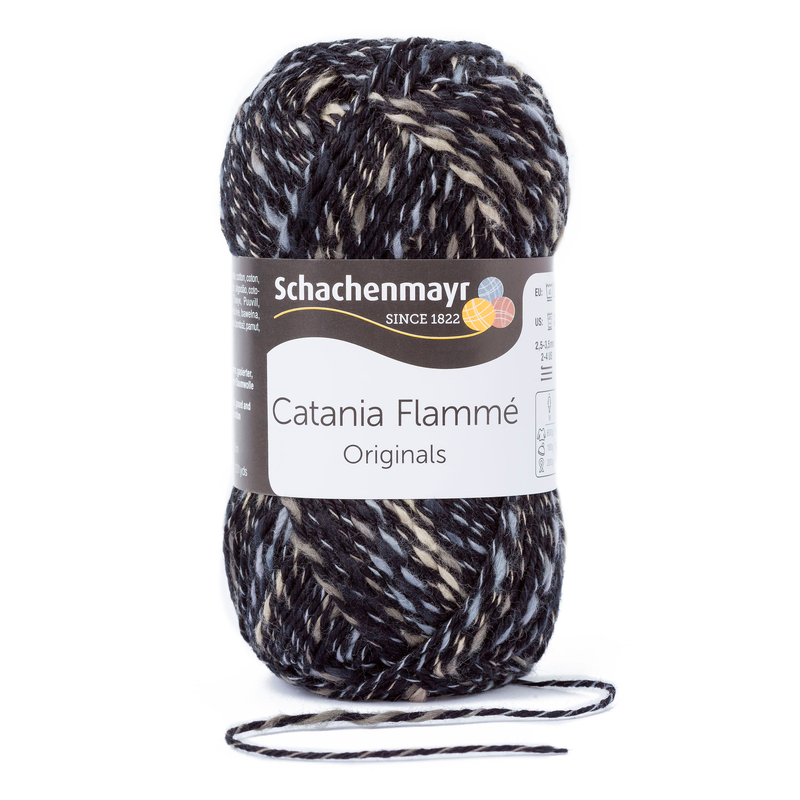 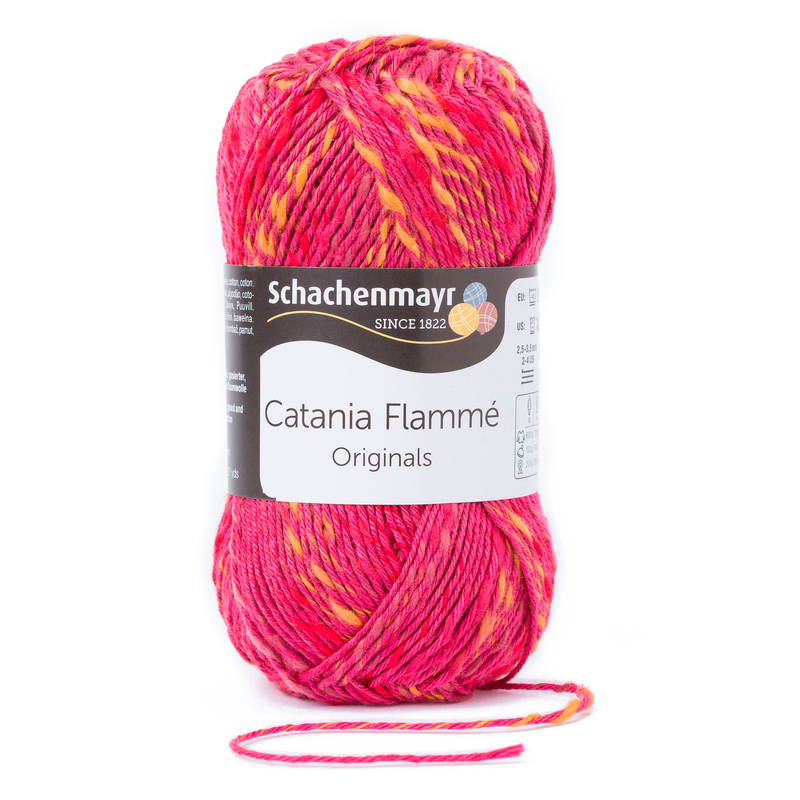 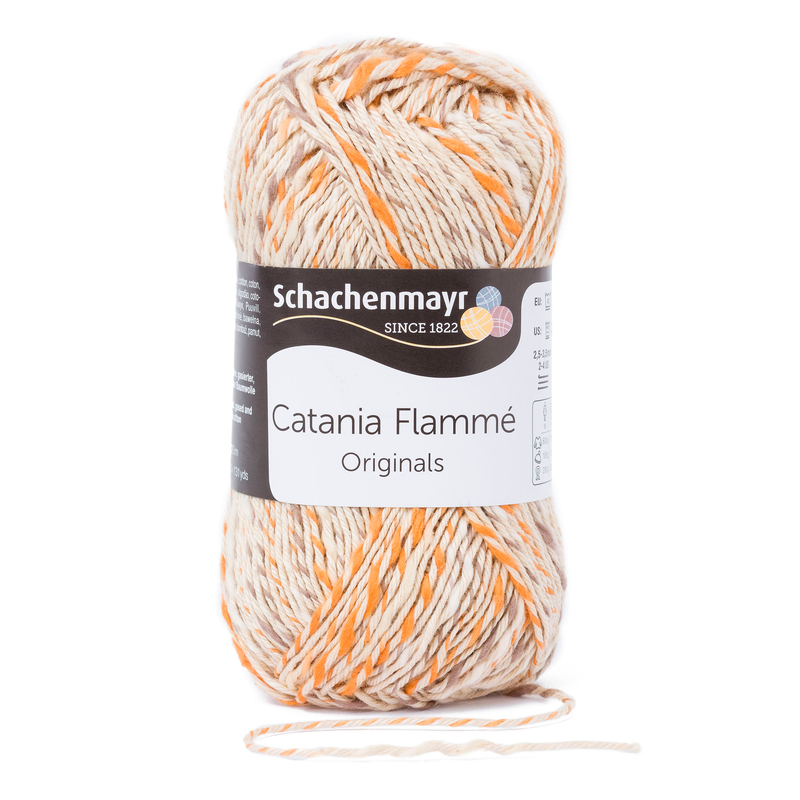 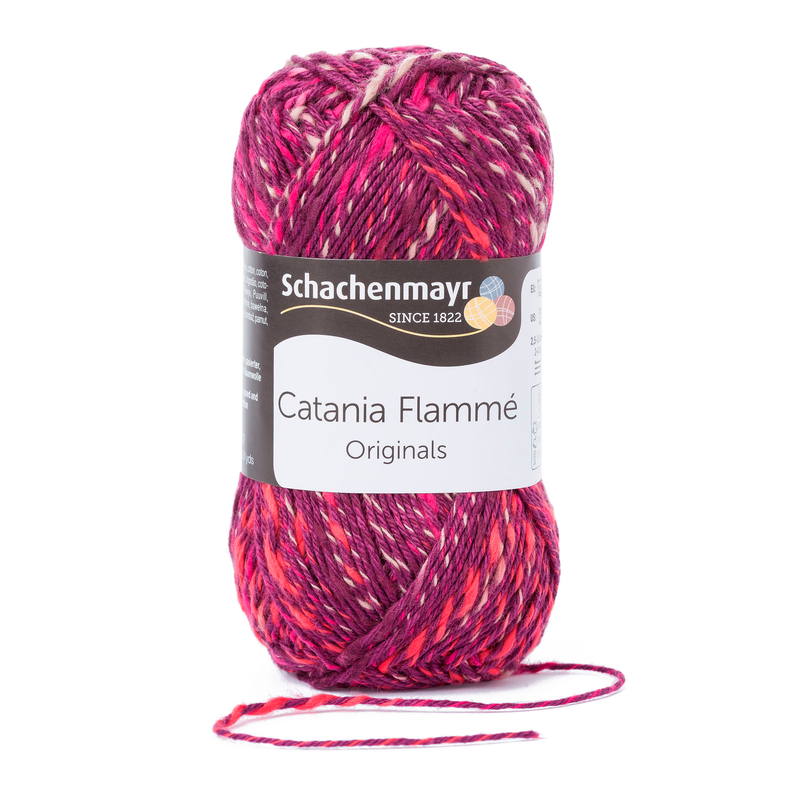 In addition, all instructions for projects with Catania can also be used for Catania Flammé, giving you a huge choice of designs for this yarn.